Simplicity goes a long way; especially when it comes to design. Think about when you’ve finished creating any of the following: a painting, a sketch, a film, a photograph, a piece of furniture, clothing or jewelry. Ask yourself one question, “What can I take away?” A well-known designer asked herself this question in the early 20th century. Her name was Coco Chanel. In Chanel’s day women were bred by Victorian fashion. 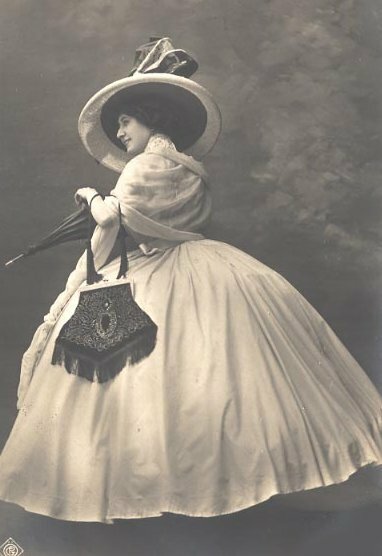 Women were still stuck in corsets, skirts that encircled their legs with multi-layers of fabric and undergarments, and huge wide-brimmed hats weighing down their heads. Chanel never did succumb to the constricting styles of her time, but instead asked, “What can I take away?” She took away a lot and came away with a living legacy to her design philosophy. Look in your closet. Do you have anything made with Jersey? Do you have a little black dress? Do you have a blazer? Have you ever worn a belt over a cardigan? What about an A-line skirt? All of this is Chanel. Her designs revolutionized women’s fashion and have remained a classic staple today and will continue into the future. Granted there will always be variations on each design, but the basic design idea was Chanel. The cliché proverbial phrase, “Less is More,” applies to Chanel and her philosophy of simplicity. She used less, but received much more in sales and history. 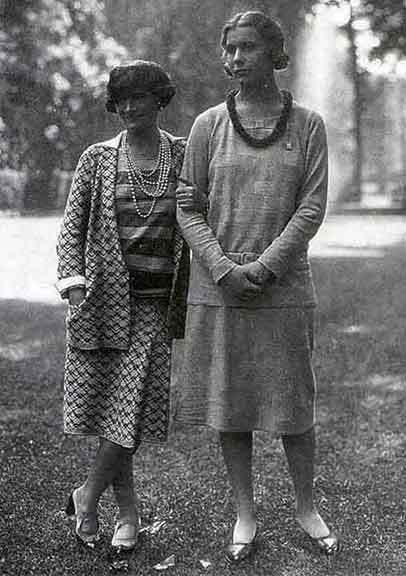 Coco Chanel (left) defied frilly fashions and introduced simplicity. Take a look at your newest creation and see what you can take away; be a revolutionary like Chanel. Go against busy and crowded design sometimes and take the simple road. It will be a new diversion for your art. I’ll be here the 5th of every month giving you new design tips and design profiles. I’ll be your design curator. See you next time! Nice post, Elizabeth! Keep it up!